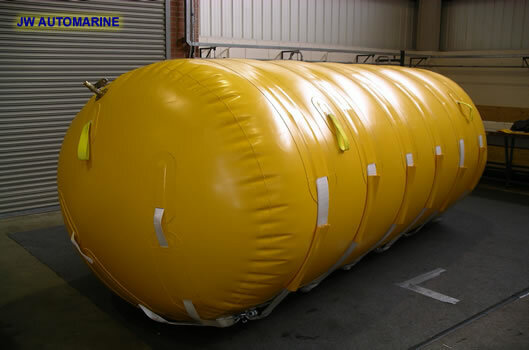 Totally enclosed lifting bags offer an invaluable method of reducing vessel draught in limited depth. 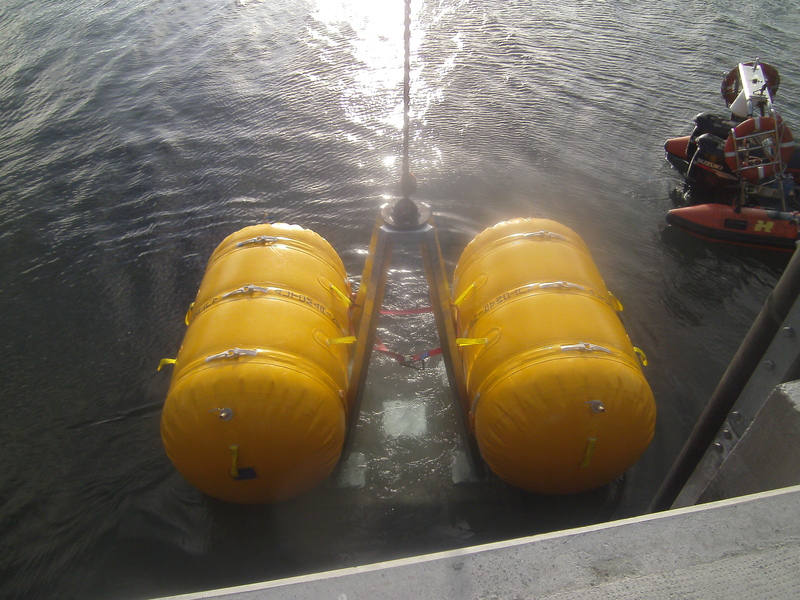 In situations where insufficient depth of water precludes the deployment of parachute-type lifting bags above the object which requires raising, cylindrical, totally enclosed lifting bags provide an effective alternative. The totally enclosed lifting bag can be secured closely to the article or shackled to straps passed underneath it, and offer an invaluable method of reducing the draught of vessels when launching, slipping or manoeuvring them in limited depth.